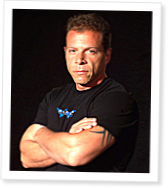 01:10 Tony Blauer talked about his S.P.E.A.R. self-defense system, why it’s important to CrossFitters, and how Coach Glassman will be a featured speaker at a training camp being held August 14-16 in Virginia Beach, VA. Also appearing at the camp will be John Welbourn, Brian MacKenzie, Kyle Maynard and Freddy Camacho. Tony explained how effective self-defense goes well beyond physical training. 27:33 Justin got the bottom of the FRAT mystery when he caught up with the mysterious and elusive “Jakers”, whose cryptic posts on the main-site have long puzzled “normal” CrossFitters. Jakers explained what FRAT is and how it has evolved, trying very hard to be funny. 35:03 Justin interviewed Tommy Hackenbruck, the second place finisher at the Games and owner of Ute Crossfit. A former middle linebacker for the Utah Utes, Tommy has been power-lifting since he was a teenager, but has only been CrossFitting for a year. Tommy discussed his disappointing performance in the Northwest Qualifiers and how he made it to the Games through the online Last Chance Qualifier. Tommy revealed his diet has changed drastically from his college football years, when he ate just about anything. He said his experience performing under pressure in front of large crowds helped him in the Games. Tommy discussed the behind-the-scenes atmosphere at the Games and the amazing way athletes helped each other. Nice interview Jakers, way to represent the FRAT! Great interviews Justin. Thanks for making my workday go by a little faster. great work man. BTW, are we going to see Dave Young back with CFR Weekend edition? It's been quiet on that front. I just want more CFR!!! When is the article you mentioned about the best equipment for your home gym coming out? Thanks. I am almost caught up with every CFRadio and CFLive edition (in chronological order). Great stuff. Like Brian, I am looking for the equipment article. Thanks.